Bowie Nature Park has a lot going on this Spring Break. 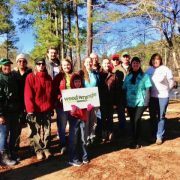 Families, scout groups, and community groups are all invited to come and participate in a new nature oriented activity each day. Programming will be available Monday-Friday of Williamson County’s Spring Break (March 18th-22th) from 10am-2pm. 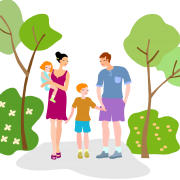 Activities are simple and fun and designed for children and their caregivers to do together. FREE programs! No registration required. 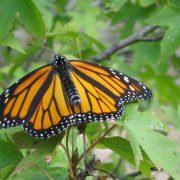 Monarchs are amazing! Come learn all about them and get your own milkweed seeds to spread. We will be joined by Mike Berkley of GroWild for a native plant talk at 11am! Dive into the past by exploring our fossil collections. You can even dig for real fossils! Spring is here! Come celebrate with activities, and crafts. Some refreshments will be provided. Wetlands are like nurseries for many different animals. Come by to see what treasures they hold! Members of BSAS will be here to show off their telescopes and do some astronomical activities! Owls are amazing nocturnal navigators, fantastic flyers, and the silent hunters of the bird world. 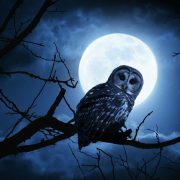 Take a night hike with us as we call for owls and hopefully spot these majestic creatures. Meet us at the Nature Center! 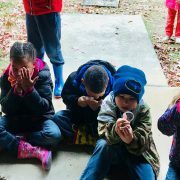 Theme: Junior Rangers – Come learn Naturalist skills as we explore everything that makes Tennessee unique. Participants will have a chance to earn a Junior Ranger Badge at the end of the series. Join the Friends of Bowie Nature Park inside the Nature Center for this annual celebration of the season. Cozy up next to the fire and listen to some holiday favorites both old and new with Roxie Dean & Tom Jones. Refreshments will be provided in the classroom. The winter solstice marks the shortest day of the year and the beginning of winter. Join us as we celebrate! We will have hot cocoa, activities, and crafts available for you to enjoy at your own pace. Stop in anytime between 10am and 2pm. Light refreshments will be provided. You are invited to come and bring an ornament for someone to be remembered this year in a special way and in a special place. Stop by any time between noon and 3pm to place an ornament on the tree. All past ornaments and those placed on the tree this year, if not picked up, will be given to a charity organization after New Year’s Day.